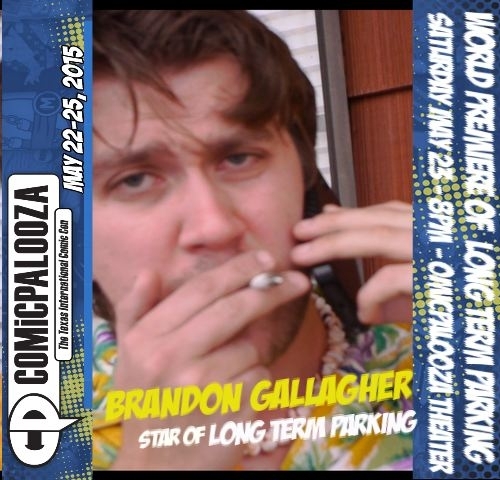 Before the world premiere of Paul Bright’s comedy Long Term Parking on May 23rd we wanted to catch Brandon Gallagher, who plays Mickey, the hapless stoner in the film. We expect he’ll be surrounded by teenage girls anxious to meet him at the ComicPalooza Theater in Houston’s George R. Brown Convention Center. We thought it best to get to know him before his fan club rips his shirt off. RW: Tell me about your character in Long Term Parking. BG: Mickey is kind of a bum working a dead end job at a storage unit. Don’t get me wrong: I believe there’s much more to Mickey and his life beyond the walls of the storage facility. Judging from his wardrobe, I believe he wants to ultimately graduate to beach bum once he finds his way to the coast.